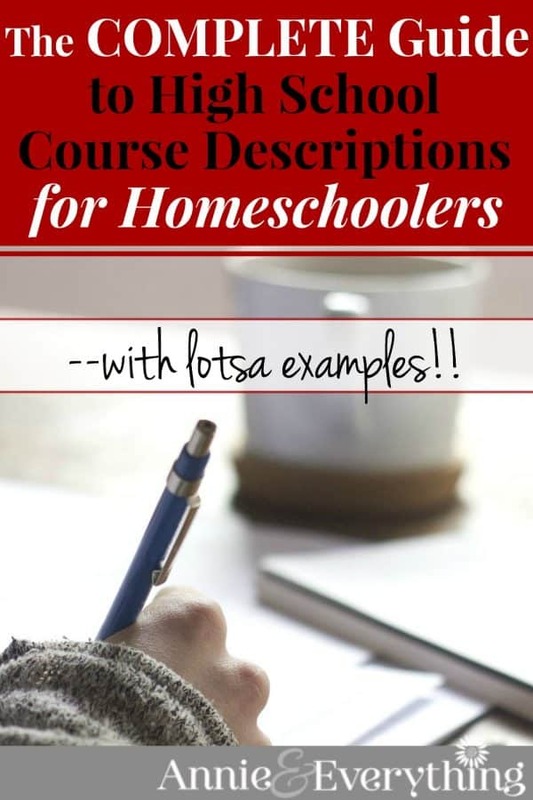 Home » College Prep » The Complete Guide to High School Course Descriptions for Homeschoolers — with free swipe file! Other than creating a transcript, writing high school course descriptions is probably one of the most intimidating tasks to a homeschool mama. But don’t let yourself get uptight about them until you know for sure you will need them — because most of the time you will not! And if you do, there is still no need to worry, because writing them is really not that difficult. UPDATE: I have a special offer to make this whole thing even easier for you! Get a FREE SWIPE FILE of all my course descriptions so you can copy and paste whatever you can use!! Keep reading for more details!! I wrote course descriptions for my eldest because she was applying to a college that suggested that homeschooled applicants provide a “detailed curriculum guide” as part of their application package. This “detailed curriculum guide” was not required, but they said it would be “helpful in providing a fuller picture of the student’s academic background.”¹ Since this was a competitive school, we decided to give them as much information as we could to show them that my daughter’s homeschool curriculum was adequate and even rigorous. Since then I’ve had two other children apply and get accepted to college, and because they took basically the same curriculum as their older sister (so I had many of the descriptions written already), I sent course descriptions in with their applications. But you know what? In the case of the two younger children, I didn’t really need to. Because the colleges they were applying to did not specify that course descriptions were necessary. And that’s the determiner of whether or not you need to write course descriptions: if the college asks for them. If they don’t, then there is no reason to bother with them. It’s that simple. The way to tell is to go to the college’s website and check under their admissions section. Many colleges now have a specific page addressed to homeschoolers. It is on this page that they will make clear exactly what they prefer to receive from us — and if they don’t mention course descriptions, you probably don’t need to write ’em!! And if they don’t have a page for homeschoolers at all, then you are most likely safe in assuming they don’t require that kind of paperwork. HOWEVER, I would hasten to say that when in doubt, it never hurts to call and talk to someone in the admissions department. I know a lot of us homeschool moms are introverts and hate making phone calls like that *raises hand*, but it will be worth it for peace of mind. Do your research and then you won’t need to be worried about doing the wrong thing. Now, if you want to create course descriptions, because you are proud of your self-designed unit studies, or you want to prove that your child took courses that could be considered Honors courses, or you would just feel better giving as much information to the college as possible — or you just like making extra work for yourself, lol — then it is my opinion that you should by all means go right ahead. Some people say that colleges will reject someone who submits paperwork they didn’t ask for; I’m just not sure I can buy that. But again, pick up the phone or write an email if you are at all unsure. But if you DO need to write course descriptions, how do you write them? I’m here to tell you that once you get the hang of it, you can bang them out in just minutes apiece. There are a few pieces of information that you want to be sure to include in each course description. These are: 1) the name of the course (which can be a name you give it or the one from the curriculum company — your choice), 2) the resource(s) used, 3) how a grade is determined (is it based on tests, papers, completion of activities, etc.) 4) how many credits the course is worth, and 5) some combination of the following: a) the general objective of the course, b) the content and/or skills the student will learn, and/or c) the activities the student will do. I know it seems like a lot, but each description will follow basically the same formula, so it becomes fairly simple once you’ve practiced a couple times. This is an advanced high-school course for 1.0 credit which concentrates on marine wildlife and marine habitats. It provides a survey of members of each biological kingdom that live in marine environments. The student will learn about the microscopic organisms that make life in the ocean possible, including details about their interesting habits and life cycles. In order to take this course, students must have completed a first-year biology course. A dissection lab module is also included. Text: Exploring Creation with Marine Biology, by Sherri Seligson. Grading for this course is based on chapter tests and quarterly exams. The caveat about this is that not all publisher descriptions make good course descriptions. They are writing more for advertising purposes, and so their description may sound too informal or sales-y and would look silly on a college application. Or their description might not have all the information needed, and by the time you have to insert that and make it sound good, you often might as well just write your own, anyway. This 1.0 credit course is the first half of a two-year course in intensive grammar study and writing instruction. Topics covered include punctuation, sentence parts and classes of sentences, complements (including subjective, object, objective, and retained object and objective complements), substantives, verb tenses and moods, adjective and adverb phrases and clauses, prepositions and conjunctions, as well as outlining, word usage, the argumentative essay, paragraph development, sentence effectiveness, poetry, idioms, and other short compositions such as the character sketch. The student will learn how to use editing symbols and practice editing given passages and their own work. The student will diagram difficult sentences fully. Text: Communicating Effectively, Book 1, by Rod and Staff Publishers. Grading for this course is based on chapter tests and written assignments. The purpose of this 0.5 credit course is to educate the student regarding the governments of the United States, the individual states, and our local communities. Special emphasis is placed on understanding the U.S Constitution. Topics covered include the definition of government and examples of various types of government from history; the historical basis for the U.S. government; Congress–how Representatives and Senators are elected, what are Congress’s duties, powers, and limitations, how a bill becomes a law, impeachment; the Executive–electing the President, the President’s role as Commander in Chief, the Cabinet; the Judiciary–District Courts, the Supreme Court; the Amendments to the Constitution; state governments, constitutions, and legislatures; local governments; taxation and spending; international relations; and a discussion of contemporary issues in government, such as health care. In addition to the text, students read a selection of primary source documents, essays, and speeches. Text: Exploring Government, by Ray Notgrass. Grading for this course is based on weekly quizzes, cumulative exams, and writing assignments. This is an introductory high school 1.0 credit course which investigates key subjects in biology, including the definition of life, DNA, the scientific method, and classification of organisms. Bacteria, fungi, atoms, osmosis, photosynthesis, cells and their functions, genetics, and evolution are all covered, as well as invertebrates, arthropods, plants, reptiles, birds, and mammals. Text: Exploring Biology, by Dr. Jay L. Wile. Grading for this course is based on chapter tests and lab participation. This 1.0 credit course continues instruction in the French language with subjects typically found in a third year high school French course, such as regular and irregular verbs in the future, conditional, pluperfect, future perfect, and subjunctive tenses; reflexive verbs; possessive adjectives and pronouns; demonstrative adjectives; relative pronouns; indefinite adjectives and pronouns, comparatives and superlatives, and other language-specific idioms and grammar concepts. There is written instruction from the text and oral interaction via computer voice-recognition software and student-teacher dialogue. Resources: Breaking the French Barrier, Level 2 (all), by Catherin Coursaget and Micheline Myers; and Tell Me More French, Level 3. Grading for this course is based on chapter tests and completion of computer exercises. Voilà, copying the table of contents does half the description for you, and you just flesh it out with the other information listed above. 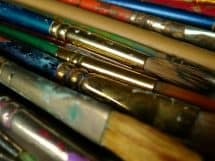 This 0.5 credit course uses the deep reading of great literature to expose the student to techniques that will improve his/her own writing. Lessons cover tone, characterization, description, persuasive writing, imagery and poetic language, setting, person, and humor, as well as discussing romanticism, historical fiction, and the persuasive essay. Reading List: selected poems by William Blake, Pride and Prejudice (Austen), Ivanhoe (Sir Walter Scott), Essay on Scott (Thomas Carlyle), selected poems from Coleridge, Wordsworth, Lord Byron, and Shelley, Frankenstein (Mary Shelley), Jane Eyre (Charlotte Bronte), and Rebecca and Rowena (Thackeray). Text: British Literature: Early -Mid 19th Century, by Michael Gaunt. Grading is based on completion of comprehension questions and written assignments. This 1.0-credit course presents World History from a bi-fold perspective, not only presenting historical peoples and events, but also studying primary source material from and literature about the time periods under examination. In addition, group discussion is used to encourage discernment in methods of interpretation. The course covers ancient civilizations including Israel, Persia, non-Western civilizations, Greece, and Rome; the Middle Ages, Renaissance, and Reformation; the Age of Exploration, the Scientific Revolution, and the American and French Revolutions; the British Empire, modern Asia, Africa, and Latin America; World War I, World War II and the Cold War, finishing with a discussion of the beginning of the 21st Century. The reading list is extensive, including excerpts from The Code of Hammurabi, The Odyssey, The Republic, The Edict of Milan, The Magna Carta, the Ninety-five Theses, Calvin‘s Institutes, War and Peace, and many others, as well as the entirety of Mere Christianity (C.S. Lewis), The Cat of Bubastes (G.A. Henty), Julius Caesar (Shakespeare), The Imitation of Christ (Thomas a Kempis), Pilgrim’s Progress (Bunyan), A Tale of Two Cities (Dickens), Pride and Prejudice (Austen), and The Hiding Place (Corrie Ten Boom). Text: Exploring World History, by Ray Notgrass. Grading for this course is based on weekly quizzes, cumulative exams, and written essays. This 0.5 credit course is comprised of daily Bible study, family discussion, church attendance, and reading and completion of the study guide for the book Saved Without a Doubt, by John MacArthur. This is a pass/fail course. This 0.5 credit pass/fail course represents the student’s learning how to drive and passing his/her driver’s permit and driver’s license tests. The student will attend an interview with the insurance agent. The student will receive practical instruction as dictated by Missouri State law, which calls for a minimum of 40 hours behind the wheel, of which 10 hours must be at night. A passing grade is given for the student completing the minimum time requirement, passing all tests, and receiving his/her driver’s license. 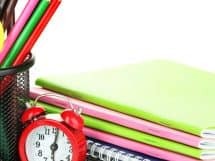 This 0.5 credit course consists of the student working through several SAT and ACT test preparation guides, including reading, practice problems, and practice tests and essays. The student will register and take each exam twice, sending the score reports to three colleges. This is a pass/fail course. This 0.5-credit course consists of daily practice and weekly instruction in the art of playing the violin. Student will also perform in a recital. Text: Suzuki Violin Method, Book 4. Minimum time commitment per week is 3 hours. Grading for this course is based on meeting the minimum time commitment and completing goals for learning musical pieces and theory. This 0.5 credit pass/fail course represents the student’s learning how to care for small children in the home environment. The student will be able to select and design age-appropriate activities and care for children of more than one age level at the same time. The student will be able to prepare food and implement daily scheduling. The student will know how to respond to injuries and/or emergency situations. A passing grade for this course will be given upon successfully completing practical experience of a minimum of 60 hours, including a minimum of 20 hours under employment for a family other than his/her own. You’ve probably already noticed I’ve written all of these in the future tense. That’s just my preference; you could write them in the past tense, also. When I wrote them I was thinking about college catalogs — in their course descriptions, they tell you what the class WILL be about. And in my teaching classes way back when, we used to write lesson plan objectives in SWBAT form: Student WILL be able to… There is no standard here; do what you prefer. You can also see that some are longer and some are shorter. This depends on the course itself. Remember, you are trying to help the college admissions office understand that your child received an adequate high school education. Give enough information to make that clear; but don’t make the description any longer than it has to be to achieve that objective. A long paragraph is about the longest you want to get. I’ve heard some people say that ALL of your course descriptions should fit on one page. Um, I think that’s basically impossible. I group the courses together by subject and make the entire document look nicely formatted, and mine have always been 4 – 5 pages. I use one staple in the left hand corner. Another thing I do is to include a note at the very top that says that course names with asterisks are courses that are currently being taken during senior year. And then I make sure to put an asterisk after the courses that applies to. That way the admissions office knows that those courses will not appear on the transcript. I would be remiss if I didn’t throw out a casual warning here that it is easier to do these as you go along, even if you are not sure you will need them. Waiting until senior year when the college application is due, and then you have to recreate all the courses going back for four years, and you may have even gotten rid of some of the curriculum by now, is not a lot of fun. Don’t ask me how I know. Um. Phew!! At the moment I bet you feel like you’ve gotten a fire hose of information. I’m impressed you made it this far!! Probably the best thing to do right now is to pin this article so you can look at it later if/when you need it. Then just take it one piece of information at a time, one course at a time, and you will conquer the task of creating course descriptions for your student! I have confidence in you! which is so much easier to cut and paste! And there is a full sample of what a course description document can look like — the exact same one we submitted to colleges! Just click the button in the box below and put in your email — it’s absolutely free! Thank you so much. This is really a lifesaver. You made it possible and I pulled it all off in one evening. Thanks! Very helpful! Thank you! 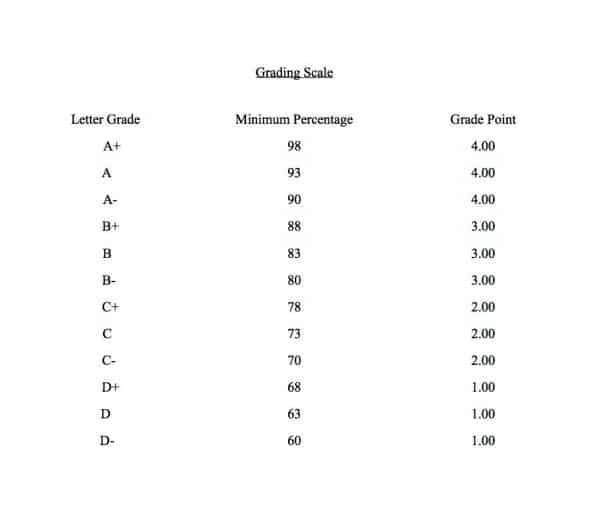 I was wondering about those of us who don’t really “grade” our kids in the traditional sense and therefore how to report an actual letter grade. If my DD has proven to me that she knows and understands the material, she moves on and passes. 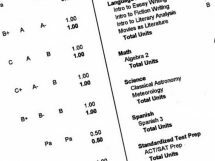 To state that her grades are based on “pass/fail” for every subject throughout high school would look bad, I would think. As does giving an A for every single subject. Suggestions? I don’t have an answer for you, Peggy. 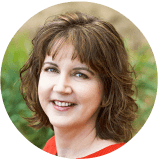 I agree that P/F for everything is not a good idea; and I have a personal pet peeve about homeschool transcripts with all A’s, because to me that’s not often the truth. Obviously it might be for the occasional child, but I think most children will get at least one B! But I don’t know how to fill out a transcript when there have been no tests or papers that have been graded along the way. I’ve always been kinda paranoid about being sure that we had an objective way to evaluate learning for each course. Sorry I can’t be more help! Thank you so much! This post was incredibly helpful. I also just joined your FB group. Thank you again! Thank you for sharing. Many of us who homeschool in South Africa utilize a lot of information and work from USA and UK. Our children can only choose between writing the South Africa matric IEB the Cambridge matric or GED. Hi Ann, thank you for all the free information about corse description and transcripts. I want to ask you, if you have any idea if is appropriate to include in the transcripts the results of the TerraNova test that we did every high school year? I have left my name and email several times to get the swipe file for the descriptions for courses and have yet to receive them. Could you please send it to me? Thanks so much for this! It will be helpful. Thank you for taking the time to provide all of this information! I am in the first year of high school with my oldest child. It is the first time that I have felt anxiety as a homeschooler, although I have been homeschooling throughout her entire education. I am gaining some confidence as I go from homeschool friends and from those that have posted helpful information online, like yourself. I am very grateful!! I’m using a high school English curriculum that combines literature, grammar, and composition each year. Do you think English 1, 2, 3, and 4 are ok to use as course titles, or are colleges wanting descriptive titles such as “American Literature and Composition”? I think if it can be called by a specific name, then do so. American Literature implies that it will also involve composition, so you don’t need to say “and composition.” But I used English 9 and English 10 when we were doing mostly grammar with a little bit of writing. We did lit only for grades 11 and 12, and then it was British Literature and Shakespeare Tragedies (for example). I did that because some colleges specified that they wanted to see literature courses. But if the colleges your kid is applying to don’t specify, then English 1-4 could easily work.